She can’t remember what she did-or what happened the night she fell. But she’s beginning to realise she might not be as good a wife and mother as she thought. 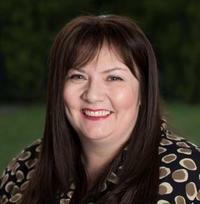 Amanda Reynolds is an author and creative writing tutor. Her debut novel, published 2017 by Wildfire (a new imprint of Headline) as their first fiction title, is Close To Me. 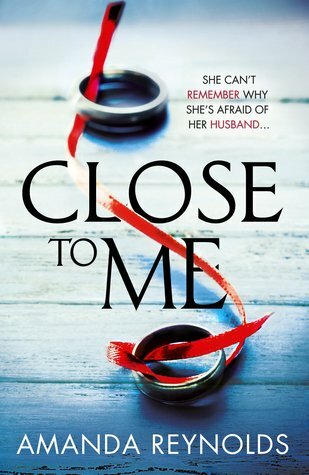 Close To Me will also be published in the US, Russia, France and Italy and has been optioned for TV. Amanda lives in the Cotswolds with her family and two very furry dogs. She has worked as a goat milker, a teaching assistant and a sales trainer. More recently she was the book reviewer for The Cheltonian and taught regular creative writing classes and workshops. She now writes full-time, taking a sabbatical from teaching to write her second book, due out in 2018. Jo Harding wakes up in the hospital and learns that she can’t remember the last year of her life. He husband, Rob tells her that she fell down the stairs but something seems strange to her. When she asks Rob or her children about events they are evasive in their answers. But the more Jo digs into the last year the more she learns that things were not as wonderful as she thought. There are two timelines to this story. We follow along with Jo as she tries to remember the last year of her life. You are kept questing at what happened along with Jo as she keeps going in circles to figure out what happened. We also go through events prior to the injury and learn that this family is messed up, has secrets, and is nowhere near the great family they are trying to be. I had a hard time with this story. I didn’t like any of the characters, it felt like Jo just kept going around and around and around with the same stuff, and the family drama did nothing for me. Now, just because I didn’t like the story doesn’t mean that it won’t appeal to someone. If you like the stories with family drama, spoiled kids, and infidelity I think you may find this a great story. As for me, even the mystery portion was not enough to keep me interested. I think this is one of those books that will be either you like it or you don’t. 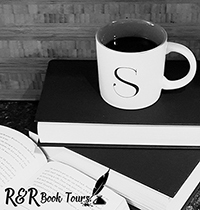 Definitely give it a try, Amanda Reynolds may be your new favorite author. I received Close to Me from Quercus for free. This has in no way influenced my opinion of this book.